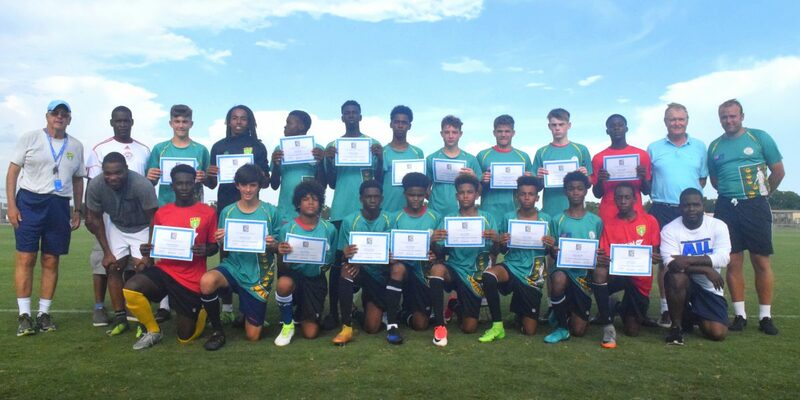 BVI Football Association » The Boys, having surpassed expectation to reach the Division 3 final in the CONCACAF U15 Championship found French Guyana too hot to handle on Saturday 19th August at the IMG Academy, Florida losing 6-0. The first half was an evenly matched affair, with perhaps the French Guyana team a little wasteful in front of goal, but the BVI also had chances to score and who knows how different the outcome would have been if a late one on one with the keeper had gone in for the BVI. As it was the BVI Boys had given their all to match the French Guyana team who appeared fitter and had a slight technical edge and despite making several changes during the second half to stem an ever increasing flow of attacks, the Boys wilted in the heat of the day and conceded six goals. In earlier group play the BVI Boys beat Montserrat 8-2 as Bailey Rowe again led the front line with skill and an insatiable desire for goal, netting four times in a first half onslaught that also saw Tyler Forbes scoring twice and Luka Chalwell once. The Turks and Caicos team were soundly thrashed, 7-3, even though the VI Coach, Marcos Falopa, made four changes to the team that started the 4-0 win over Anguilla, the new faces quickly put any doubts about the result to rest with a dominant display. By half time the VI were already 3-0 ahead after goals from Charles Medway (2) and Bailey Rowe. The Tournament began for the BVI with a comfortable 4-0 win over Anguilla. 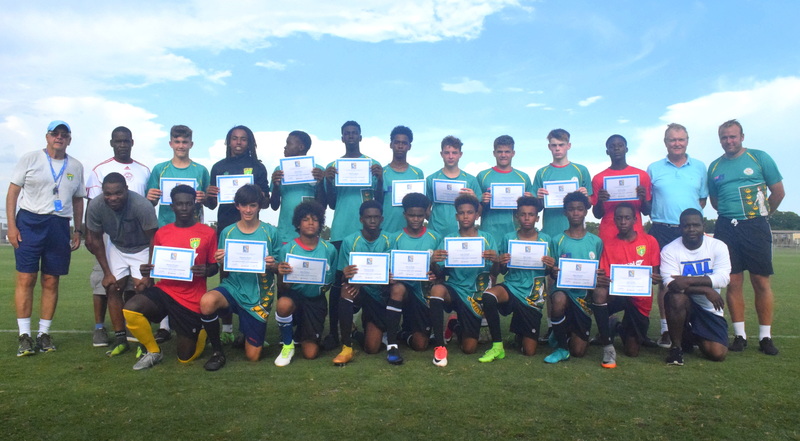 The game, played in blistering heat at the IMG Academy in Bradeton, Florida, began at a slow pace, but it was the BVI Boys who were soon in the ascendancy as after a spate of chances that went begging, Miguel Marshall fired home to open the scoring. The BVI lead was soon doubled as Tyler Forbes rose high at the far post to get his head to a Luka Chalwell Cross. Forbes then made it 3-0 early in the second half as he surprised everyone, spinging the off-side trap and flicking the ball past the Anguillan goalkeeper. Number 4 came from the boot of Marcus Butler and the game was all over.